My experience with Werner Herzog's career has been limited, at least when compared to his massive output. 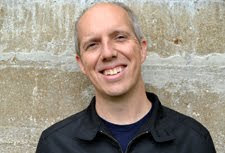 I've caught his signature works like Aguirre, The Wrath of God and Nosferatu the Vampyre plus recent films like Bad Lieutenant: Port of Call New Orleans and Cave of Forgotten Dreams. One of the things that makes Herzog so intriguing is his attraction to obsessive maniacs who sidestep society's conventions. His soul mate is Klaus Kinski, who looks crazy even before he speaks. With his wide-eyed look and messy hair, it's nearly impossible to take him seriously. However, there's a strange logic to his characters' ultimate goals that you can't dismiss them. This is true of Kinski's Brian Sweeney "Fitzcarraldo" Fitzgerald, who'll go well beyond what others will do to pursue his quest for greatness. I knew little about this guy beyond The Frames' song, but that was enough to grab my interest. Glen Hansard is the type of artist who would be attracted to this story of a dreamer going all out to bring something amazing to the wilderness. Fitzcarraldo lives in Iquitos, Peru and dreams of opening an opera house in the jungle. He was once a wealthy guy, but he lost his fortune trying to build the Trans-Andean railways. With the help of his girlfriend Molly (Claudia Cardinale), Fitzcarraldo scrounges together enough money to embark on a desperate expedition. Joined by a few associates and low-paid locals, he hopes to grab a share of the rubber industry by buying unclaimed land. The trick is that it's basically inaccessible. 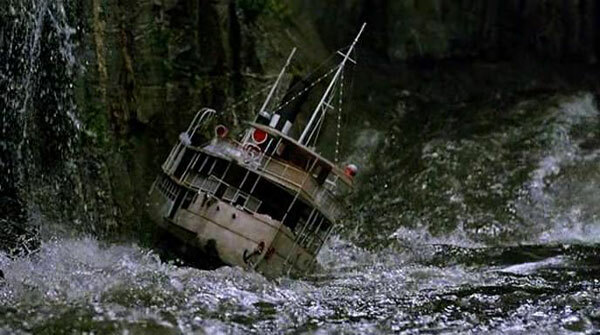 Fitzcarraldo develops a daring plan to pull his steam ship over a mountain to reach his land. It's a dangerous and likely impossible mission, but the obsessive guy forges ahead with belief that his dream must succeed. Werner Herzog is a legendary filmmaker and I admire his willingness to do anything to achieve his vision, but his films aren't the type that I run out to see. While the idea of seeing a ship pulled over a mountain is intriguing, the 158-minute running time was a hindrance. Given the universal praise for this movie, I recognized that my hesitation was ridiculous. This made Fitzcarraldo a perfect choice for this monthly series. Forcing myself to check it out was definitely the right move. Herzog takes a slow-paced approach to the material, but there's plenty to enjoy throughout the lengthy time period. Although it was released 30 years ago, this story is timeless because it tackles universal themes. My dream may not involve building an opera house, but I admire Fitzcarraldo's persistence. Who doesn't want to toss everything aside to pursue a pet project? He refuses to take "no" for an answer and embarks on a perilous journey. Even his pilot and engineer don't believe he's going to succeed! Fitzcarraldo has the qualities of the most successful entrepreneurs, but his chances are virtually nonexistent. For every Walt Disney or Steve Jobs, there are hordes of ambitious dreamers who've lost everything. Even if he gets the boat over the mountain, that's just the first step of many to reach his goals. The attention stays focused on the main character, so we don't learn much about anyone besides Fitzcarraldo. 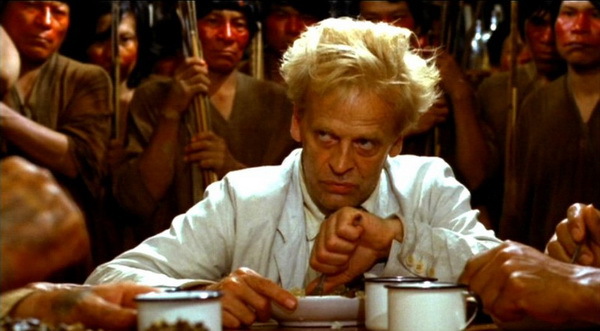 Even so, Kinski makes him so intriguing that we barely notice. With his crazed hair and manic demeanor, he's the perfect choice to play the lead. Jason Robards was originally cast in the part and shot many of this scenes, so Herzog started over after he left the project. Mick Jagger also was going to play an assistant, but his footage was re-shot when he departed. Having Robards in place of Kinski would have led to a much different tone. Kinski has a signature style, and few can convey insane desperation better than the notorious German. 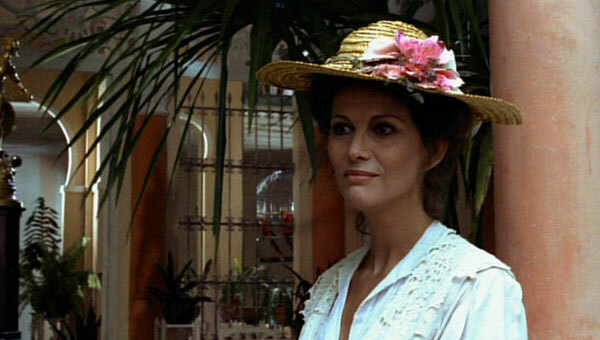 Claudia Cardinale does nice work as the supportive Molly, but she disappears from the story once the journey begins. José Lewgoy also makes an impression as the powerful rubber baron Don Aquilino. While Fitzcarraldo can barely scrape together enough money, this wealthy guy throws cash to the fishes. While he's a callous guy, he also plays a key role in making Fitzcarraldo's dreams possible. The highlight is definitely the moment when the crowd of natives pulls the boat over the mountain. Watching the massive vessel actually move is stunning, especially when you consider the fact that it's a real ship. Herzog isn't using miniatures or digital effects to sell the illusion. This is also the case when it goes through the dangerous rapids. While it's still moving the story forward, it doesn't feel like we're watching a movie. Herzog and his crew are risking their lives to deliver this project. Even when it doesn't go as planned, the finale is hardly depressing. Fitzcarraldo may never see his opera house, but he still brings some beauty to this harsh landscape. The music brings a serene happiness to a guy who refuses to rest until the job is completed, wherever it leads him. I can't think of a better way to end this List of Shame series than with this movie. Fitzcarraldo is a great film that takes us on a unique journey unlike anything that I've seen. It's more than a one-note story and works because we're drawn in by Fitzcarraldo's passion. He is the type of guy who holds a church hostage until he gets his opera house, so his sanity is shaly. Even so, a regular person wouldn't even attempt this venture. Herzog clearly loves this type of guy, and this connection leads to a riveting experience. It's my favorite movie from his work so far, and he's a prime candidate for a full marathon. I really like Fitzcarraldo, but I think I like Burden of Dreams, the doc on its making, even more. Dave, I'm really interested in seeing Burden of Dreams. Given what Herzog was trying to do, it doesn't surprise me that you liked it even better. It's hard to say for sure, but I may have enjoyed Hearts of Darkness more than Apocalypse Now. That's saying a lot, but there are so many interesting stories behind the scenes. God, I've been so lazy lately. A lot of movies like Fitzcarraldo that fascinate me, I've balked at seeing due to their length. But your review did make me want to see it now, so I'll be renting it soon! Fantastic review. I'm right with you. I'm often lazy and just go with the easy pick that isn't three hours. That's why I went with the blind-spots series. It basically forced me to watch movies I might have skipped. In most cases, I've been glad that I did it. Thanks! And the making of Fitzcarraldo (getting the boat over the mountain, crazy star) is a pretty interesting story as well. Chris, I've heard similar reactions from a few different people about Burden of Dreams, so I'll have to check that out. I've also heard that My Best Fiend about Kinski is pretty crazy too. Thanks! What an interesting premise and even the name itself is bizarre. I've actually never seen any film by Werner Herzog (yeah, shame on me) and I've just learned recently he's an actor as well. Curious to see Jack Reacher just for him! Ruth, Fitzcarraldo was only my fifth Herzog film, and there's no shame in not having caught his work so far. I think this movie could be a good start if you're looking to check out one of his films. It's slow-moving at times, but the story is so interesting. You should really check out Burden of Dreams, makes you appreciate this film even more! Another vote! I'm sensing a trend here and definitely want to see it now. Thanks Nostra! YES! So glad you liked this movie, definitely one of my favorite Herzog films. Loved your analysis of it. You're right, it is timeless because its themes are universal. Thanks Alex! It took me a little bit to get into the story, but I was hooked once it got rolling. 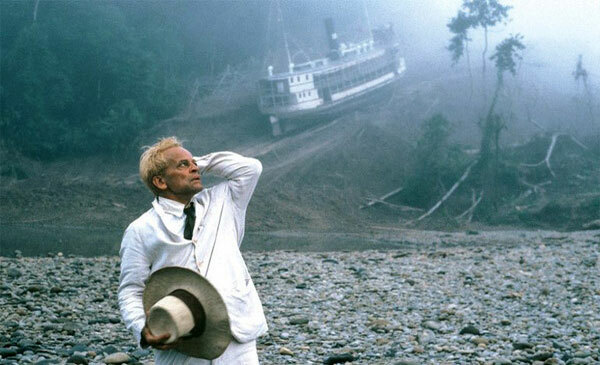 Fitzcarraldo is such an intriguing character, and Kinski is perfect for the part. I like Jason Robards, but it would have been a much different movie with him as the star.